This superb luxury journey begins in Cairo, where you'll enjoy private tours of the ancient capital, Memphis, the earliest of the pyramids, the Step Pyramid, the Egyptian Museum and of course the Sphinx and Great Pyramids of Giza. 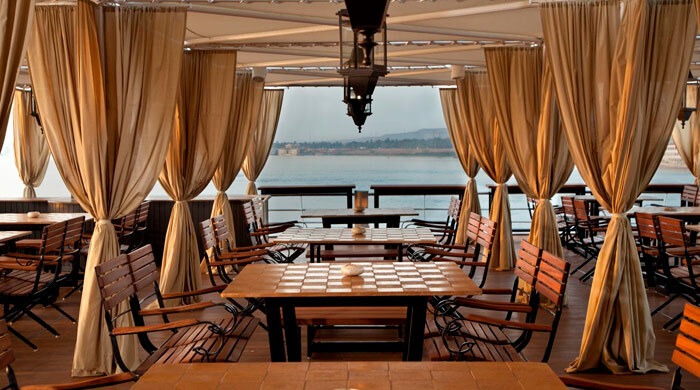 Then fly to Aswan and board the Sanctuary Sun Boat IV, one of the most luxurious ships on the Nile, for a three-night cruise to Luxor, calling at the temples of Kom Ombo and Edfu. Finally, visit the Luxor and Karnak temples and the treasures of the West Bank, including the tomb of Tutankhamen, before driving to Hurghada for three nights relaxing on the Red Sea coast. Relax in the comfort of a VIP airport lounge before flying to Cairo. 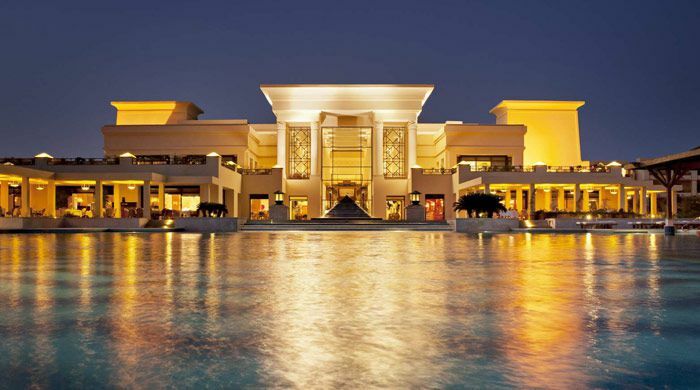 on arrival you'll be met and transferred to your hotel, the superb Fairmont Nile City Hotel, located on the banks of the Nile River with sweeping views of Cairo and the Pyramids in the distance. Check in and spend the evening at leisure. 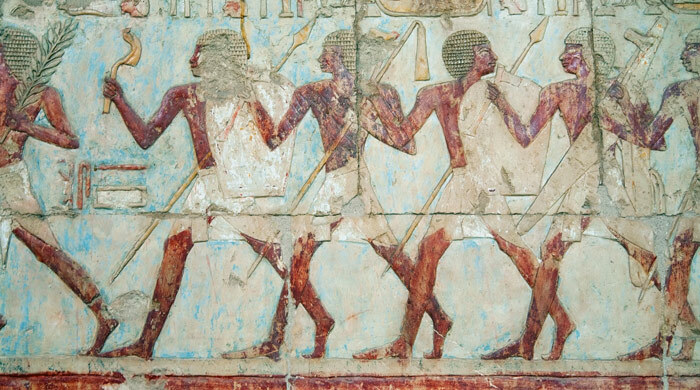 Today's touring will take you to some of Cairo's most important historical sites, beginning at Memphis, the legendary city of King Memes, the first king of unified Egypt, which dates back to 3,100 BC. Next, your tour takes you across the Great Court of the Pyramid Complex in Sakkara to the Step Pyramid, the oldest of Egypt's 107 pyramids. 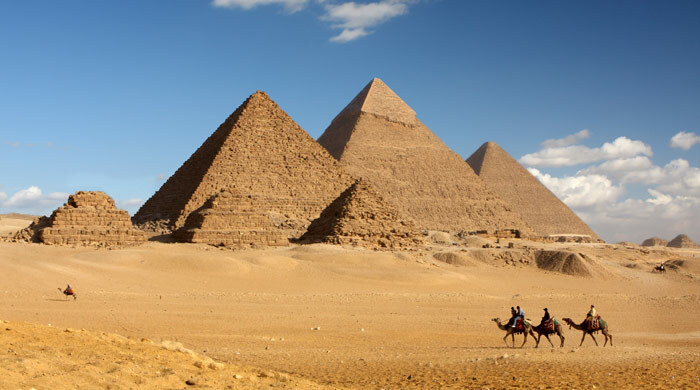 Enjoy lunch at a local restaurant before spending an exhilarating afternoon exploring the Great Pyramids of Giza, the only survivors of the Seven Wonders of the Ancient World, which date back 4,500 years and were used as giant tombs for the pharaohs Khufu, Khafre and Menkaure. Your second full day in Cairo begins with a visit to the Egyptian Museum where you'll soak up 7,000 years of history and see first hand the largest collection of ancient Egyptian art in the world. See the treasures of Tutankhamun, including his gold mask, solid gold sarcophagus and beautiful throne, before heading to lunch at Al Azhar Park in the heart of Islamic Cairo. This afternoon you'll head to the Citadel, a vast medieval fortress, built by Salah El Din in 1176 on the limestone hills above the city. Next you'll visit the Mosque of Sultan Hassan, famed for its grand, soaring architecture and rich decoration. Completed in 1363, its one if the finest mosques in Egypt. Your day ends with a tour of Khan El Khalili Bazaar, reputed to be the largest bazaar in the Middle East. Here, among the labyrinth of narrow lanes you'll find workshops and stalls selling all manner of handicrafts, including woodwork, glassware and leather goods, as well as perfumes, fabrics and other curiosities. 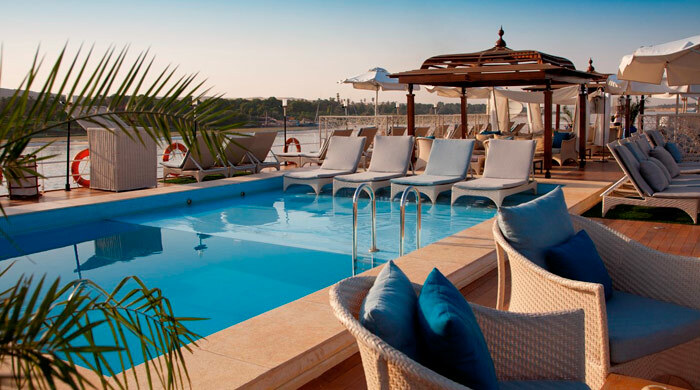 On the morning of day 4 you will transfer to Cairo International Airport where you'll board a flight to Aswan where you'll board the luxury Nile Cruise ship, the Sanctuary Sun Boat IV, an intimate river yacht moored in a private dock in Aswan. Over the next four nights/five days, you'll enjoy the very best Nile cruise experience, with a full programme of included sightseeing and excursions to the Nile Valley's most iconic sites. 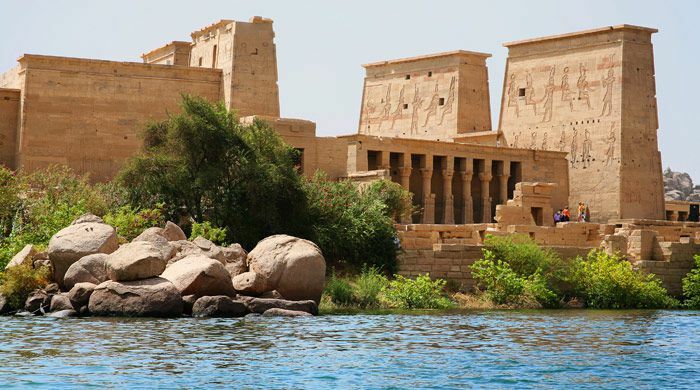 Begin your exploration around Aswan with a visit to the Granite Quarries, which produced the majority of the hard stone used in the Egypt's famous pyramids and temples and still hold a giant, unfinished obelisk, followed by a visit by boat to Philae Temple, located on Agilkia Island. You will also enjoy a ride on the Nile in a felucca (a typical Egyptian sail boat) around Elephantine Island, Lord Kitchener’s Botanical Gardens and the Agha Khan Mausoleum. 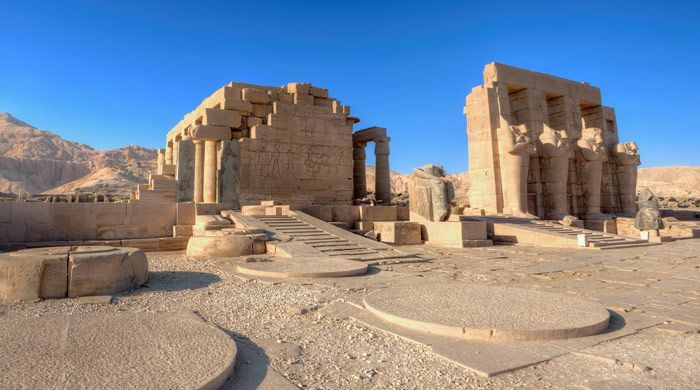 Leaving Aswan, you'll cruise to Kom Ombo, to visit the temple, dedicated to the crocodile god Sobek, where sacred crocodiles used to bask in ancient times, before continuing to Edfu to explore the Temple of Horus, the largest and best-preserved pharaonic temple in Egypt. In Luxor, visits will be included to Temple of Luxor on the city's East Bank and the spectacular Temple of Karnak, built over a period of more than a thousand years by generations of pharaohs. On the West Bank you will explore the Valley of the Kings, where magnificent tombs were carved into the desert rock and filled with treasures for the afterlife. 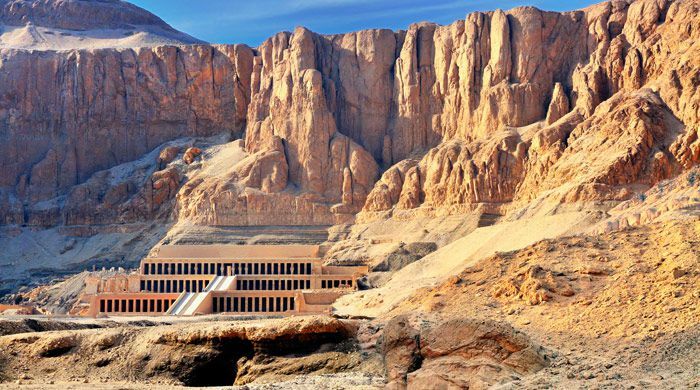 You'll also have the chance to visit at least one tomb in the nearby Valley of the Queens and also visit the extraordinary temple was built for Queen Hatshepsut, Egypt's only female pharaoh, which rises out of the desert plain in a series of terraces, merging with the soaring limestone cliffs that surround it. Whilst onboard, you'll enjoy fine dining and world-class service throughout your cruise. Special evening events include the captains welcome cocktail party, the celebrated Egyptian night where you'll have the chance to dress up in traditional galabeyas and tuck in to a lavish buffet of Egyptian specialities and the farewell gala dinner (jacket required), with white-gloved waiters serving beautifully prepared gourmet cuisine, after which you'll be treated to a performance by a belly dancer and a whirling dervish show, a fitting end to an unforgettable cruise. 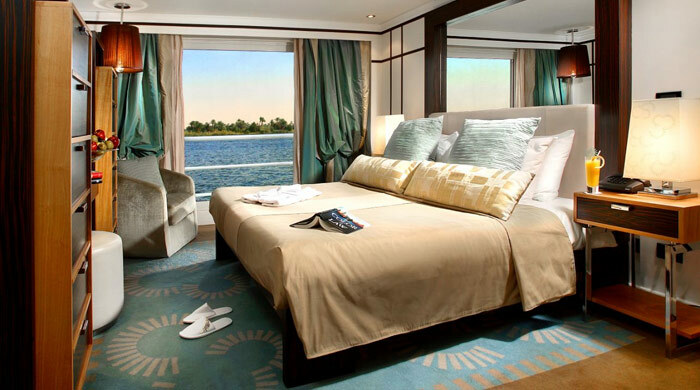 After breakfast, you'll leave the ship and travel to Hurghada by private transfer, a journey of around four hours. 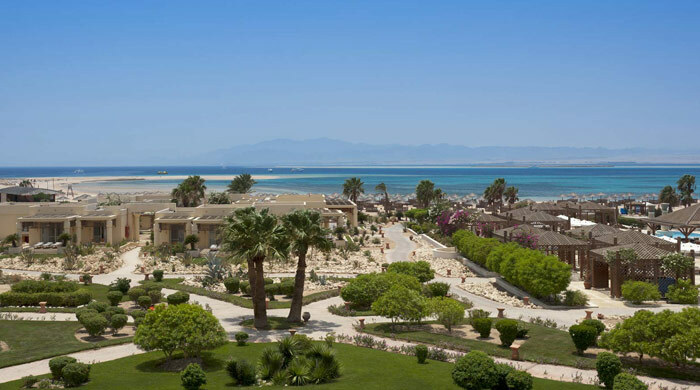 Check into your hotel – the superb Sheraton Soma Bay – and spend the final few days of your holiday relaxing and soaking up the sun - or swimming, diving and snorkelling in the warm, clear waters of the Red Sea. After breakfast a private transfer will take you to Hurghada airport for your flight home. Save up to £135 pp. Special offer: Save up to £135 pp. Please note: ** additional supplements apply for travel over Christmas, New Year and Easter travel periods, please call for details. Certain cruise departures will be aboard Sun Boat III, the sister ship to Sun Boat IV, offering similar onboard standards and the same excursions.